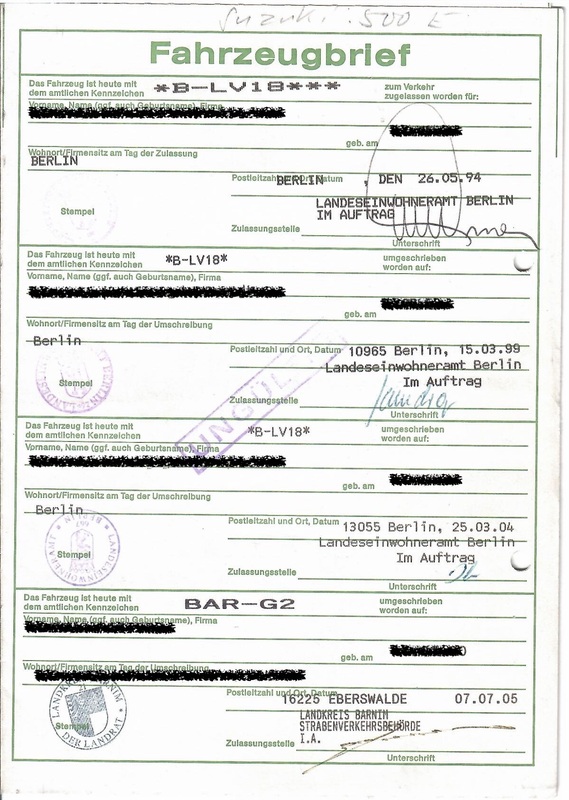 The Fahrzeugbrief is the old type of vehicle registration papers. It looks like this. It was replaced by the Zulassungsbescheinigung.